A Clarinet Tuner is an electronic tool that many clarinet players use to see the resonance of musical notes, technically called pitch. These devices make the user aware about the exactitude of the pitch of the musical note that they intend to produce, meaning whether the pitch is higher or lower than it. The measurement unit is Hertz, and its display is sometimes on a Lcd, or LEDs screen, even though in the past the way to show it was using an analog needle dial. With the advance of technology, it is possible to use electronic devises, like a Pc or a smartphone, to do the job of a tuner. A Metronome is a tool that allows musicians to play at a standard pulse, making a sound in a regular interval which is previously set up for them. Normally the device displays a synchronized motion feature that can be in the form of an intermittent light or a pendulum, in order to observe the pulse visually. The unit of measurement that the metronome uses is beats per minute or ‘BPM”. Its origin dates back to 1815, when the versatile inventor Johann Maelzel patented a device explained as a “Machine for the Improvement of all Musical Performance”, which name was Metronome. Thanks to the metronome the performance of musicians improves significantly, since the tool help them to develop a higher notion of the timing in which the notes must be executed. Nevertheless some musicians have a bad opinion about the metronome, and say that the use of it should be avoided due that the alignment between every click of a metronome and the beat of a natural musical presentation are not always coincidental. It is not rare that woodwind instruments aficionados confuse a clarinet tuner with a metronome, but how we have seen there are absolutely different tools with very different task to do. Now the good news for the people that are interested in these kinds of devices, is that today are multiple products that combine both devices and can be used simultaneously or independently. Many musician has chosen to use them, because the fact that they allow them to practice both, rhythm and pitch technics at the same time in their training sessions. A variety of players of different styles of music have appealed to the help of these versatile devices, specially woodwind and brasswind instruments players that use it to enhance their abilities when playing in their bands. To find the best metronome is good to understand that they has evolved hugely, from the mechanical ones to the online devices, and even with modern app that can be used from your mobile phone. At the beginning the developers of these devices took advantage of genius like for example Galileo Galilei and his pendulum concept, which gave place to the mechanical metronome. Later on, experts added different features that with the help of technology gave origin to interactive metronome that can be used across internet. The most modern ideas has reached the point where the goal that this tool pursued can be achieve utilizing only a smartphone and an internet connection. Tone in a metronome are affected by the advance in the device that is used, and the lasts ideas about the item has contributed to get a precision that in the recent past was difficult to imagine. So just have a look to the different metronome that has been developed in history. 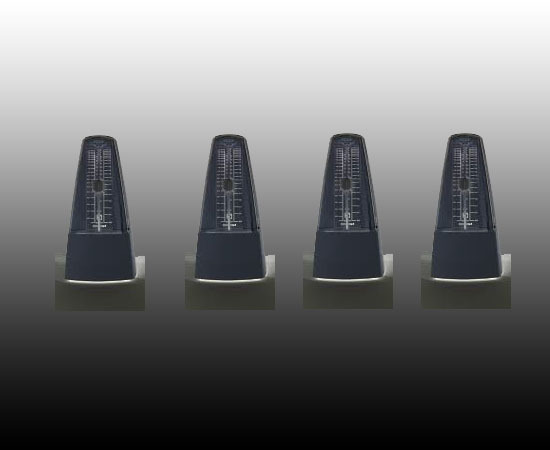 Online metronomes are softwares that are designed to facilitate the practice of music. Normally have an interface, a display feature, different ranges of tempos, and also many of them are constantly updated in order to make them possible to be used with more modern devices, like different kind of smartphones which don’t need to be connected to the internet. There a number of these programs that are downloadable, meaning that the users can avoid the natural problems of an internet connection when they used them. The ideal online metronome should be easy to use, and facilitate that the musician tempo and beat practices improve in quality overtime. To get a better result when using these tools, is a good idea to keep the computer or other devices without much memory or bandwidth consumption, and also close other windows or programs that are used at the same time. These app are created with intention of give musicians a way to practice their tempo in collective or individual ways. 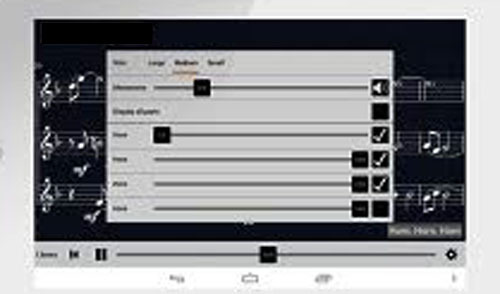 The best metronome app has controls that can manage the velocity of the beats in small intervals, and also shows a display area to help the player to check his performance. The latest models also allow creating a custom sound that make the use of the device more comfortable for the user, and also to be utilized with other tools without disturbing the main activity. Eve many people would consider it unbelievable, in our days metronomes are used by runners, golfers, dancers, and many practitioners of a variety of activities that look for improvement in their efficiency. Nevertheless like any artificial device, the clarinet Tuner have its fans and detractors, we think that most of the tools are positive if we know how to get the best of them. Surely these products are not perfect , but can be of great help for people that are just starting to play an instrument, in this case the clarinet. The most important notion when using these tuners and other devices , is to try to avoid the excessive use of them killing our natural feeling when interpreting a piece of music. Natural perception of tones, tempo and beats won’t be replace by artificial machinery, but in some moments, the beginner will be helped to develop their natural feeling when playing most of the instruments.